I started another renovation in Thunderbolt with my neighbor, DC. He is allowing me to ‘take the reins” while he manages the money-side of things which is a DREAM COME TRUE for me. The house is unusual in that the original potion of the house was built around 1940. 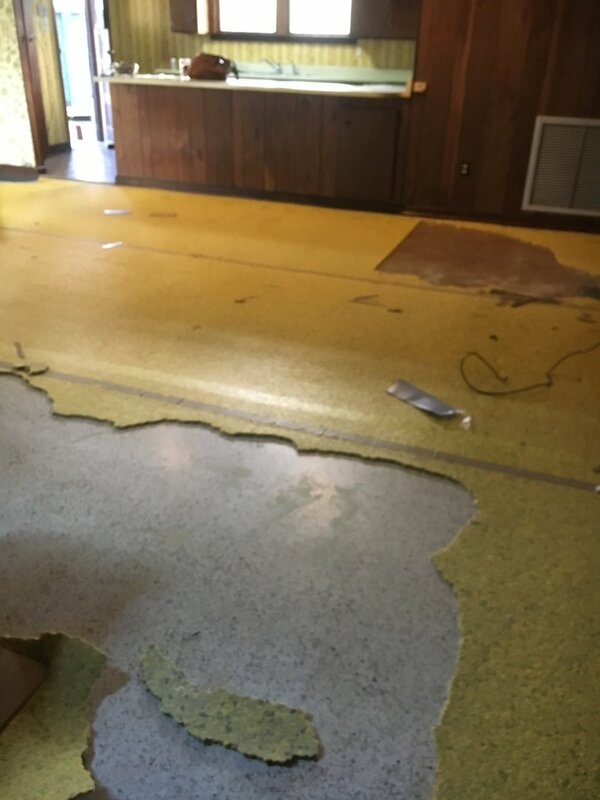 The house was added onto in the 1960’s I believe…..because the AMAZING TERRAZZO FLOORING we found the plush green carpet in the bedrooms and living room! Finalizing the budget but should be underway in early February turning this current 2 bedroom 2 bath home into a 3 bedroom, 3 bath home with big bonus room and party kitchen! The plan is to go as a nightly rental and have a mid century vibe to the house — the floors certainly speak to that style! The trees and existing landscaping will allow us a great big entertaining space and we are a stone’s throw to the neighborhood fishing pier. I have yet to do a mid century house so I’m very excited to get going!